The pleasant wind of Greek hospitality blows in the resort on the West coast of Peloponnese. It is located 50 km from Araxos airport, 65 km from Ancient Olympia and 300 km from Athens, at one of the most beautiful beaches of Western Peloponnese, in a fantastic garden next to the sea. Peloponnese is known for its diverse geographical structures, a unique part of Greece. 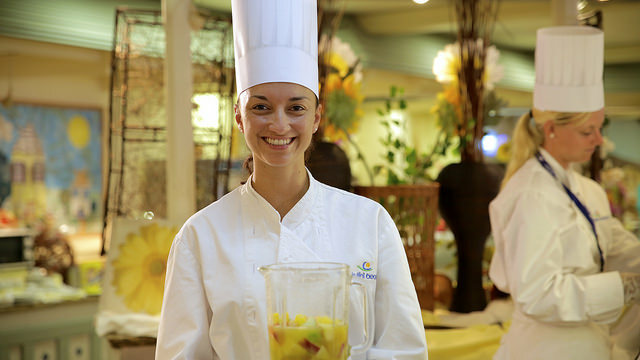 Discover and experience the place and its people and take home unforgettable memories. Several ancient cities and monuments are located near the hotel and worth your visit. Some can be visited in a half-day excursion, other require a full day excursion. Discover Ancient Olympia, where the Olympic flame is still inflamed. Or visit the Delphi, well-known with the famous Oracle. You can also schedule visits to Epidaurus, Mycenae or Nafplio. 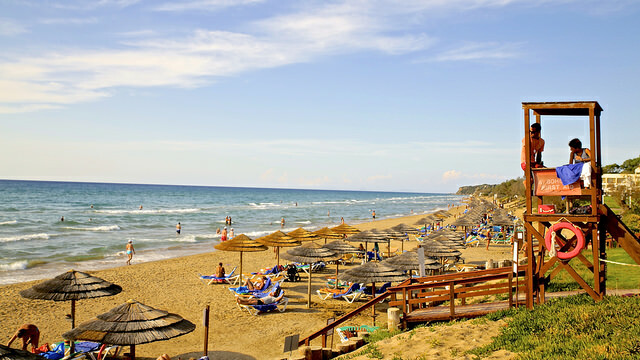 Kyllini Beach resort offers a wide range of sports, like archery, tennis, golf tee and putting green, shuffleboard, boccia, aqua fit, cycling, rowing, darts, table tennis, beach volleyball, basketball, football and much more, which are daily available. 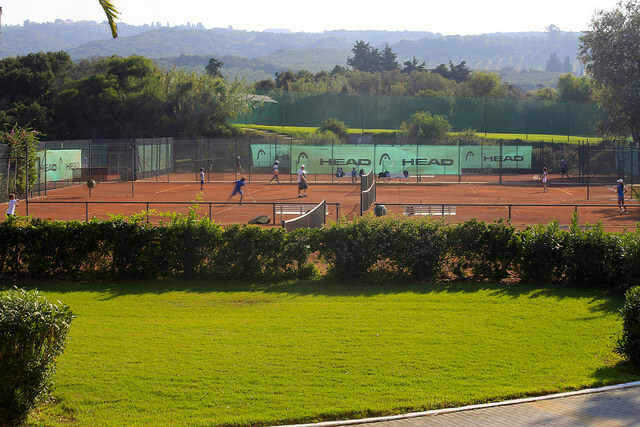 Kyllini Beach Resort is one of the biggest Tennis center's in the Mediterranean. There are 16 sand courts, 2 with lights, a tennis bar, practice wall, balls and rackets rental. The lessons are managed by the European Tennis Academy, partner of Swisstennis. The use of the sand courts is allowed only if special shoes are used. Driving Range and Putting Green, practice course with 170 m range. The rental of clubs and balls is not included in the price. For group fitness on the beach stage overlooking the Ionian Sea, various courses with the appropriate music and Pilates, iron fit, aerobics, Zumba, back fit and many more. In a huge water sport basis the variety of equipment and the fun in the water are endless. Ideal for all ages, for beginers or even proffesional in Ionian see everybody can find the ideal conditions to enjoy it. Like e.g. Windsurfing, sailing, catamarans and much more besides… Surfing and sail courses can be concluded with internationally valid VDWS license. Special surfing and sailing material for kids starting from 7 years. Upon a valid license you can rent yourselves surfing and sailing material. The surroundings of the hotel and the excellent bidding backcountry hiking and opportunities for the mountain biking. Idyllic villages, the historic medieval Castle of Kastro, green olive groves, the port of Kyllini and much more are waiting for you to explore. 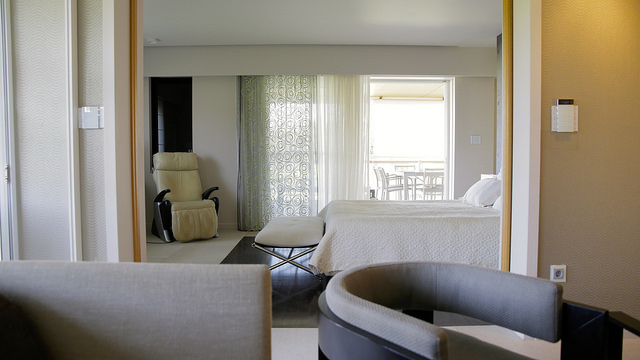 The southeast region of the hotel is ideal for cycling and comfortable sightseeing. The alternate views from coasts to mountains and from main streets to off road biking, till the nearby village of "Kastro" and fisherman's village "Arkoudi".With the bike you can explore the beautiful surroundings of the hotel on your own. Entertainment Programm during the day with activities, competitions and sport events. Night entertainment with cultural events, Greek nights with folk dances, dance demonstrations, shows and musicals in the theatre.Every night dance music by the pool at the pergola bar and some days per week, after midnight party in the night club "Galaxy" next to the beach. This week, we will bring the vitality back into the flow and find our inner balance.With simple and flowing movements, we learn to activate our power and to put in the right direction. Different time modules held on the beach stage facing the sea. Water workouts is a type of mild exercise for joints and whole body, conducted in shallow water reaching up the chest or in deeper water, with or without water aerobics equipment, such as water noodles, belts, powersticks and gloves. Water fitness workouts enhance power, mobility and resistance of all muscle groups and support relaxation. Salsa, Samba, Mambo, Merengue and Cha-cha are combined with aerobic steps to the sound of Latin music. The hips roll, the shoulders go up and down, arms and legs are swinging. It’s not only thrilling, but also a great cardio-training. This event is addressed for beginners , advanced or to athletes who are in good shape and want to experience a new sense of workout and have fun at the same time, as well as to advanved rowers and athletes who desire to participate in an indoor rowing racing event. 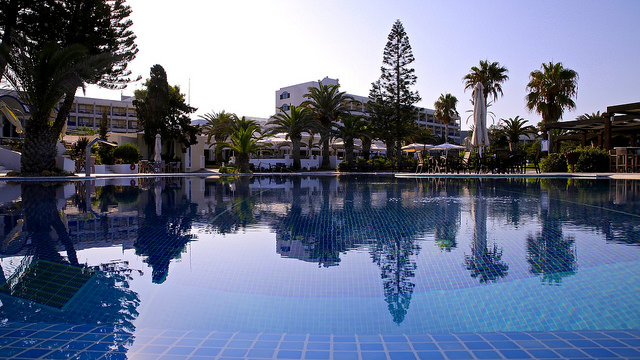 Kyllini Beach Resort will present to its customers an excellent sports and fitness program. Professional presenters offer a complete outdoor program with great variety of exercises. You will learn new types of gymnastics which are suitable for an efficient and effective program of training. Lini-Club (boom boom for 3-7 year olds and cool Club from 8-14 year old children). The place to be if you have kids!